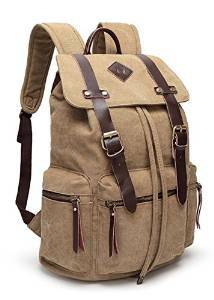 Backpack is a very useful accessory for all men. Today fortunately there is a very large variety of models for all tastes and styles. 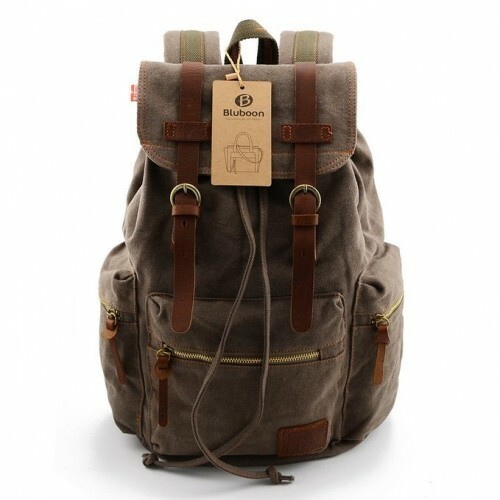 With great features : Audio Pocket, Laptop Sleeve/Protection, Machine Washable, Reversible BLUBOON Vintage backpack is a great piece which also looks very chic. 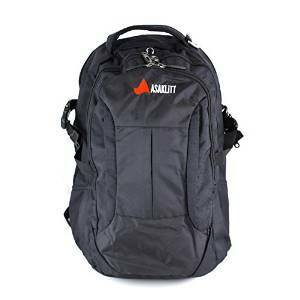 This a very durable and weel made backpack with store books, use 3 large compartments, 1 front pocket, and an internal 15″ laptop sleeve. Also has a hook on the top handle for clipping on items of your choice such as water bottles, keys or flashlights. Internal media device holder can hold phones, iPods, and mp3 players with its headphone wire slot for easy access to earphones/headphones. 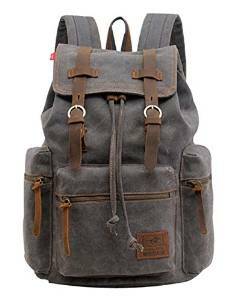 Cool Walker Vintage Men Backpack is a very good looking backpack. Indeed it looks great and could be a great option. A very nice backpack which fits nice. Straps and back are very well padded so it’s extra comfortable. 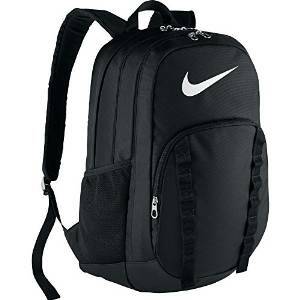 It has plenty of pockets and compartments for storage. Great for camping, traveling, or even just school. Doesn’t have a laptop compartment though but you could easily fit your computer in if you need to. 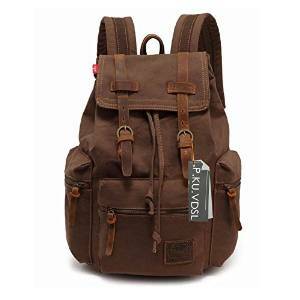 Canvas Backpack, P.KU.VDSL-AUGUR it looks very nice, the webbing on the straps is also a thick cotton rather than a plastic, so overall the backpack is really comfortable to wear. The leather is soft, so it doesn’t seem likely that it will crack with age. The zippers on the outside pockets are those rough metal ones that don’t zip well. The two pouches on the side of the backpack are just large enough, when unzipped, to fit a small water bottle or thermos. It is very comfortable to wear (straps are thick and can support weight of books), also looks fantastic and it is big enough for a college student (though maybe not one who has a lot of books for each class), looks very unique. Worth to say that fabric is thick and sturdy.